Just A Little Thing I Did With My Guitar. 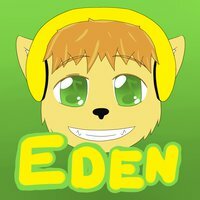 Can you help me with uploading Audio onto Inkbunny, please? What do you mean, and how so? Well first it list the Supported Filetypes: PNG, JPEG, GIF, Flash (SWF), FLV or MP4 Video, MP3 Audio, DOC, RTF or TXT. if it's just audio, transfer it into an MP3 audio file, the way I did/ do mine is using a DAW (since music and all) then save as an MP3 file or Share (Export to disc) if you're using Mac. could i put it on here? If i made it on Ujam, could i put it on here? Don't know what you mean by that... Do you mean why you can't send it as .WAV? For some random reason it wont show up for me to upload it onto here. Oh... ok. For some random reason it wont show up for me to upload it onto here.